Well the good news is, I have been keeping up with eating healthy and working out for the most part. The bad news is that it’s hard to do all these things AND then blog about them! Here’s something quick and easy I made the other day. I’ve had good and bad feelings about tuna but I decided to give it another try if I could find a substitute for mayonnaise. 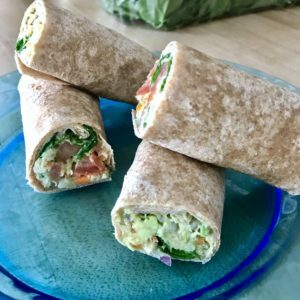 I found this blog post on The Healthy Maven and decided to run with it but tortilla style instead of sandwich style. Alright, remember how I said most of you probably know how to feed yourselves but I’m going to assume there are some people out there who are on my level? Well here we go – you’re going to need a can opener for the tuna. Fortunately my roommate had one in our kitchen drawer. 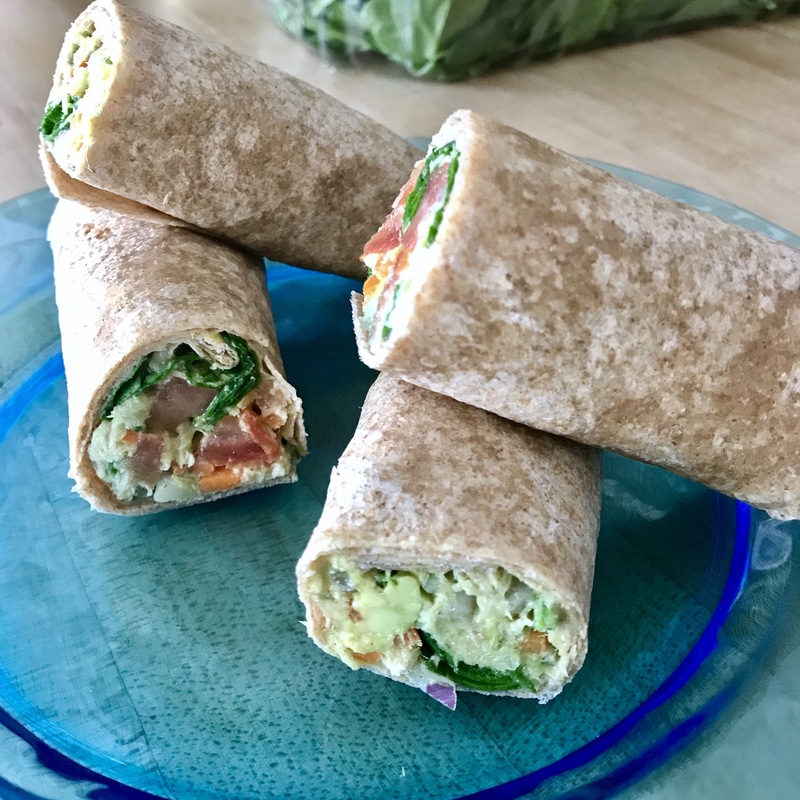 If you don’t have one of these babies and don’t want to invest in one, maybe some of the tuna brands have peel-back cans but if not, you’re going to have a really hard time making this wrap. Once you’ve cranked your way around, use the lid to squish down and drain the liquid from the tuna. Empty the drained tuna into a bowl that has some room for stirring. In a separate bowl (this is a discovery I made after having difficulty with mixing the tuna/avo combo) smash the avocado BEFORE putting it in with the tuna. Slice the avocado in half and get rid of the pit, then do diagonally crossing cuts through each half and scoop it into a bowl. 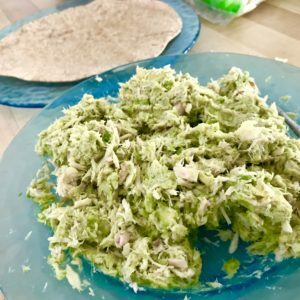 Use a fork to mash until it’s generally less chunky, then add to the tuna and continue mashing. Once you have a well blended mixture, you can lay out your tortilla and add whatever other ingredients you feel would taste good. 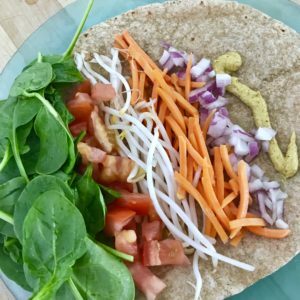 I used about equal amounts of spinach, tomato, bean sprouts, and carrots, and then a smaller amount of onion and a squiggle of mustard. So before wrapping it up, I decided to “unpretty” the whole thing and mix those veggies with the tuna/avocado. 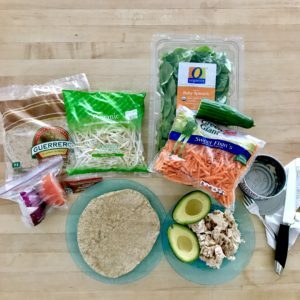 Let’s be real, who likes lopsided wraps where you get a mouthful of only beansprout… right? 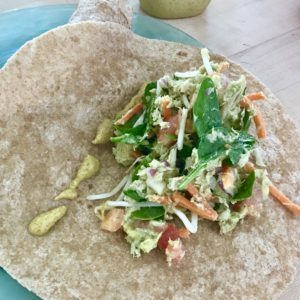 Once you mix it, stick it all together, add some more mustard if you want a little extra moisture, wrap it up and voila! I bought the extra large can of tuna and subsequently ate this with different veggie combinations for about a week. 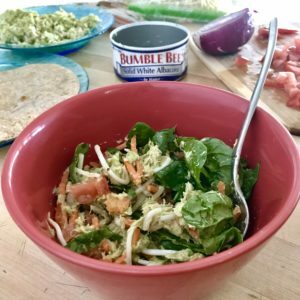 No complaints though – this is seriously delicious and healthy enough for me to feel good about eating it time and time again!